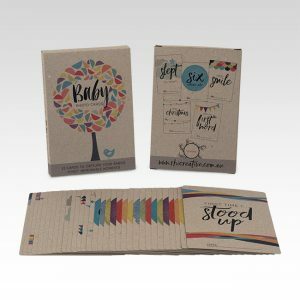 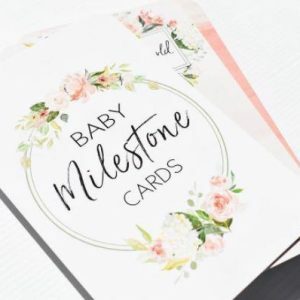 Baby milestone cards are designed to help you capture your baby’s milestones in their first year. 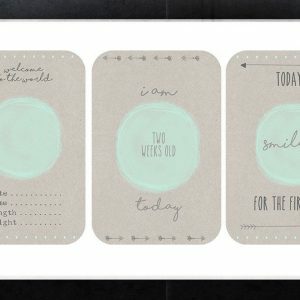 Record and remember all those precious first moments. 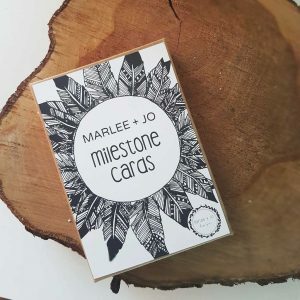 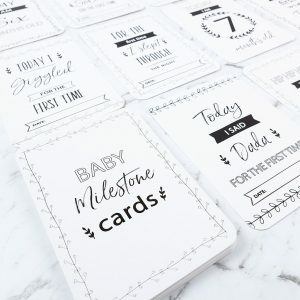 Here at Little Hugs we have a fantastic selection of milestone cards, whether you’re a monochrome lover or like a bit of colour we have something to suit everyone! 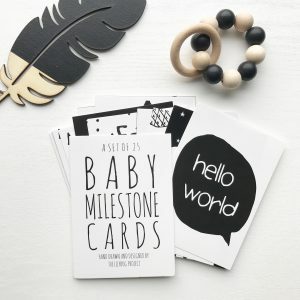 And if you’re after a baby shower gift, baby milestone cards make the perfect gift for new parents to be!